Sometimes the Universe speaks to me. You might call it God. I call it coincidence, but it’s fun to think the Universe is speaking to me. 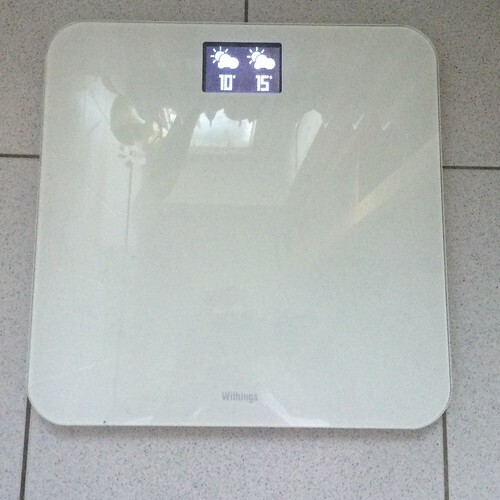 The day I decided to quit dieting, the battery on my scale died. This is significant, because another first step to intuitive eating is letting the scale go. You might need to take a sledge hammer to it, or give it to a charity thrift store, or if the Universe is so aligned, let it take the juice from your battery. Because if you’ve been dieting almost your whole life, you won’t even know how to feel until you step on that thing. Sometimes I’d step on it twice in the same day, because using the bathroom might have changed the number. TMI? Anyway, that’s how I’d know how to feel about the day ahead. So when the Universe spoke, and my battery died, I put it in a closet, and there it’s been ever since. But as it turns out, there are several ways to measure your body and how it makes you feel for the day. And at the same time that I was trying to imagine what the scale would say if it hadn’t been rendered mute, I was learning the fine art of body acceptance. The first few days of eating intuitively I went crazy with bananas and avocados. And amazingly, what was supposed to happen, happened. By the fourth day, bananas and avocados were no longer the forbidden fruits. They were just bananas and avocados. Eureka! I mastered it! This was going to be a snap. That fifth day I had a hot fudge brownie sundae for lunch. I repeated that three times in the same week. But none the following week. A few months later I had another and realized that craving had probably run it’s course. So yes. I was getting it, but how many foods was I going to have run through? How many foods had I even forgotten were on my forbidden list? How long would this take? Cream cheese? Why had I stopped eating cream cheese? Was it forbidden, or just disliked? Unlike a diet, these intuitive eating books didn’t offer a complete turn-around in 30 days. There was no 8-day foolproof detox for my diet-brain, and my list of demonized foods was long. Donuts. Cake. Chocolate chip cookies. Sour cream. Peanut butter and jelly sandwiches. Hot chocolate. Butter. Cheese. Mayonnaise. Ice cream. Candy. Full fat lattes. Pie. Pancakes. Toast. Fried chicken . . .
Oh . . Fried Chicken. 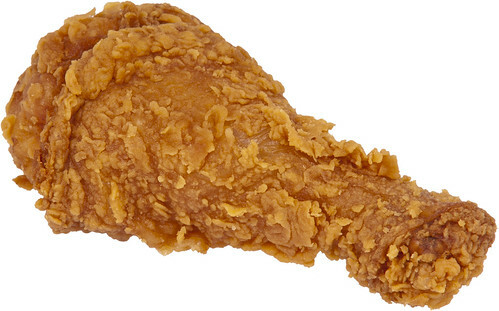 Golden brown, steaming hot, perfectly seasoned, juicy, crispy, battered and fried chicken. For six months I ate chicken from every grocery store, family restaurant and fast-food chicken place I walked into. Colonel Sanders found his way into my hottest fantasies. I had chicken fingers for lunch. Deep fried chicken for dinner. Broasted, nuggets, tenders, wrapped sandwiches, wings, pretzel-bun sandwiches, salads; I couldn’t get enough of the stuff. Until eventually I did. But along with all my other food exorcisms, this took a toll on my pants size. Like I said, there are other ways to measure your body than with a scale. And while I think I could have learned to accept my body at any stage along the way, that goalpost kept shifting. Just when I was about to accept my body, it changed. So okay . . . let’s accept this size. Fried chicken for dinner? You bet! What I learned is that the only way to fully accept the body you’re in, is to be in the present. This bears repeating. The only way to fully accept the body you’re in, is to be in the present. Because at any time your body can change. You could lose a limb. You could contract a disease. And yes. Your weight could change. You only have the body you are in. Right now. You can never have the body you had ten years ago. You don’t know what body you will have ten years from now, or even tomorrow. This is the body you are given today. This is your Universe. And it speaks to you.